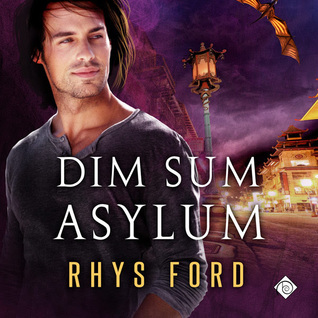 I read 'Dim Sum Asylum' back in June when the e-book was first release...what can I say it's Rhys Ford so I'm all over that stuff. Plus...hello? Dragons. Needless to say I was not disappointed and I loved it 5 dragon stars worth. So when the audio book became available and it was narrated by Greg Tremblay...who was I to turn the opportunity down...my momma didn't raise no fools...ok, maybe one or two of them but trust me I'm not on that list. Now that we've got that out of the way lets talk about the audio book. As I said it's narrated by Greg Tremblay so what makes this interesting is that this is the first time I've listened to an audio book from this narrator that hasn't quite worked for me and honestly that's not even how I want to phrase this because overall he did an awesome job and I loved his character voices...all except one and that was Roku. Don't get me wrong here, the voice that Greg Tremblay used for Roku wasn't a bad or annoying voice by any means. It just didn't quite work for me and by didn't quite work...I mean it changed my rating from 5 dragon stars to 4.5 dragon stars. So really not a huge impact...I still loved this book and I still think Greg Tremblay is fantastic when it comes to narrating. I think this is more a case of subjective opinions and mine was a little bit different. Was Mr. Tremblay wrong...no, was I wrong...again no. We just viewed the character's voice differently. Once I settled in to the narrator's interpretation of Roku's voice I also settled in to enjoying this story all over again. I don't tend to do a lot of re-reads because honestly...I get bored but that doesn't mean I don't like to enjoy a story more than once so what I've discovered is that for me audio books are a wonderful solution to being able to enjoy a well liked story and it also allows me to enjoy other past times such as my quilting, cross-stitch, unpacking boxes...because this is a thing in my live right now and whether it's something I want to do or something I have to do, enjoying an audio book really makes it a much more enjoyable experience. for me, especially if it's a book by a favorite author being read by a favorite narrator. If you enjoyed reading 'Dim Sum Asylum' than check out the audio book it's so worth going back to Chinatown to be able to spend time with Roku and Trent. 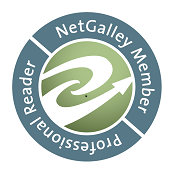 An audio book of 'Dim Sum Asylum' was graciously provided by the publisher in exchange for an honest review.